LINCOLN -- Ruby R. Rohlfs, 85, of Lincoln died Monday, Feb. 20, 2006, at 10 p.m. at Memorial Medical Center in Springfield. 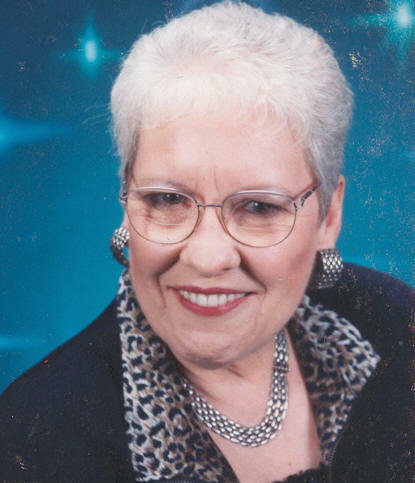 Her funeral will be at 11 a.m. Thursday at Zion Lutheran Church in Lincoln, with the Rev. Mark Carnahan officiating. Visitation will be from 9 to 11 a.m. at the church. Mrs. Rohlfs and her husband, Melvin, farmed near Mount Pulaski until his death. She retired in 1985 from the dietary department at Lincoln Developmental Center. She was born May 22, 1920, at Strasburg to Louis and Amanda Cress Fullriede. She married Melvin Rohlfs on Jan. 1, 1939, in Lincoln. He died May 30, 1971. She is survived by one son, Gene (and Wanda Lee) Rohlfs of Lincoln; one daughter, Janet Guttschow of Normal; two sisters, Vera Steffens of Lincoln and Anna Blevins of Mason City; four grandchildren; and four great-grandchildren. One sister, Edna Hullinger, preceded her in death. Memorials may be made to the building fund at her church. Click here to send a note of condolence to the Rohlfs family. ATLANTA -- Charles W. Naffziger, 83, of rural Atlanta died Monday, Feb. 20, 2006, at 5:37 a.m. at the Christian Village Nursing Home in Lincoln, where he had resided since March 2005. Visitation will be from 5 to 8 p.m. Thursday at Eminence Christian Church. His funeral will be at 10:30 a.m. Friday at the church, with Andy Glass and Ryan Edgecombe officiating. Burial will be at Union Station Cemetery, Emden. Military rites will be conducted at the cemetery by Emden American Legion Post 506. Mr. Naffziger was a farmer. He also engaged in custom corn shelling, custom hay baling, worked at Union Elevator and was a retiree of Caterpillar Tractor Co.
During World War II he served with the U.S. Navy on the cruise ship USS Cleveland. He was born Nov. 9, 1922, at Hopedale to William P. and Rosa J. Thomas Naffziger. He married Berneice B. Birky on April 18, 1946, at Delavan. He is survived by his wife; one daughter, Dianne (and Donald) Ruff of Lincoln; one granddaughter, Denice (and Brett) Baldin of Lincoln; one grandson, Darrin (and Rhonda) Ruff of Trafalgar, Ind. ; and two brothers, Lyle E. (and Donna) Naffziger of San Jose and D. Dean (and Shirley) Naffziger of Armington. 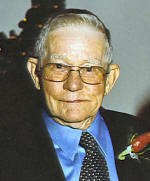 He was a member of the Eminence Christian Church, where he served as an elder for 45 years, as a board member and trustee. He was also a member of Emden American Legion Post 506, National Association of Wheat Weavers and a founding member of the Illinois Association of Wheat Weavers. He was a broom-maker at Rockome Gardens, Arcola, for 15 years. Memorials contributions may be made to Eminence Christian Church, Lincoln Christian Village Nursing Home or VNA Hospice, 720 N. Bond St., Springfield, IL 62702. NEW HOLLAND -- William D. Cooper, 77, of New Holland died Monday, Feb. 20, 2006, at 2:10 a.m. at Abraham Lincoln Memorial Hospital. His funeral will be at 11 a.m. Wednesday at Holland and Barry Funeral Home in Lincoln. Visitation will be from 10 to 11 a.m.
Mr. Cooper was self-employed as a plumber-wellman in the area for several years with Cooper Pump Service. He proudly served his country in the U.S. Navy as an electrician, earning the rank of IC2 and a Navy Occupation Service Medal. He was born Feb. 21, 1928, in New Holland to Vernon and Marjorie L. Lynch Cooper. He married Carol Lewis-Dean on Nov. 3, 1967, in Lincoln. He is survived by his wife, of New Holland; five sons, Dennis (and wife Hollie) Dean of Belle, Mo., Gary (and wife Ann) Cooper of Green Valley, Ariz., Allan (and wife Anita) Dean of Greenview, Dan Dean of Lincoln and Bill S. (and wife DeAnn) Cooper of Lincoln; two brothers, Robert Cooper of Phoenix, Ariz., and Donald Cooper of New Holland; eight grandchildren; and one great-grandchild. He was a member of Jefferson Street Christian Church in Lincoln and the American Legion Porter Bell Post 715 in New Holland. In lieu of flowers, memorials may be made to Jefferson Street Christian Church or to Wayne J. Schall Hospice and will be accepted at the funeral home. Click here to send a note of condolence to the Cooper family. LINCOLN -- Helen Owens, 75, of Lincoln died Saturday, Feb. 18, 2006, at 10:50 p.m. at Friendship Manor. Her funeral was Tuesday morning at Fricke-Calvert-Schrader Funeral Home in Lincoln, with Bill Shanle officiating. Visitation preceded the service. Burial is in Steenbergen Cemetery, Mount Pulaski. Mrs. Owens was a line worker at Pittsburg Plate Glass Co. in Lincoln before she retired. She was born Dec. 31, 1931, in Sangamon County to John Sr. and Cora Tidball Bates. She married David C. Owens on June 25, 1973, in Mount Vernon. She is survived by two sisters, Dorothy (and Bill) Johnson of Lincoln and Eloise Taylor of Decatur, and many nieces and nephews. She was preceded in death by her parents; husband; three brothers, John, Donald and Robert Bates; and two sisters Mary King and Annetta Bates. Memorials may be made to the tenant council at Friendship Manor or to the Visiting Nurse Association Hospice. Click here to send a note of condolence to the Owens family.